With roots that date back more than a century, time has nurtured the Cintique name into a beloved furniture brand that people associate with high quality standards, British values and exceptional comfort. Cintique chairs, sofas and recliners tend to consist of beautiful Cintique fabrics upholstered on solid ash timber frames, ethically sourced from responsibly managed forests. No two pieces of Cintique furniture are the same because the wood Cintique uses is 100% authentic, featuring naturally occurring knots, lines and splits. Vale Furnishers supplies a wide assortment of Cintique sofas, recliners and chairs, showcasing Cintique's most resplendent floral fabrics and the finest timber, many of which are on display in our Ash Vale showroom. 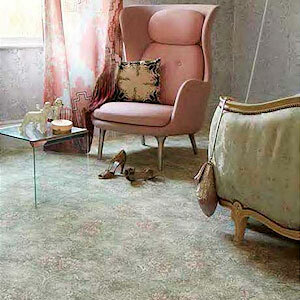 These include the stunning Cintique Winchester and Cintique Vermont ranges.